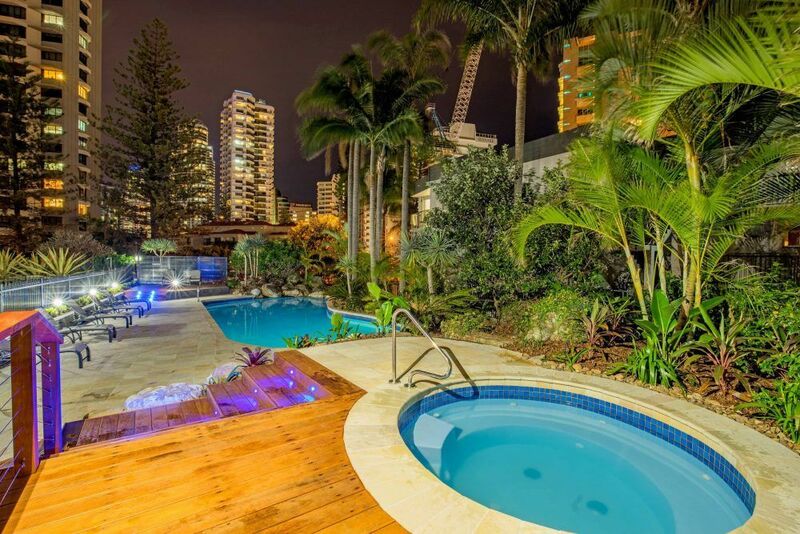 You’ll want to be in these Surfers Paradise beachside holiday apartments. Baronnet Apartments are so close to the ocean, you’ll get a salty hit when you open the balcony doors. The famous Surfers Paradise Beach is just fifty metres down Enderley Avenuea and you’re just half a dozen blocks from Cavill Mall, where Surfers Paradise began. In 1922 Jim Cavill built the Surfers Paradise Hotel on the south eastern corner of Ferry Road and the South Coast Road. Later in 1945 Ferry Road was renamed Cavill Avenue, from whence the eponymously named Cavill Mall now sits. With a little history under your belt and your plastic fully loaded, Cavill Mall is a fun place to go shopping, especially if it’s for surf and swimwear. For the big mall experience, the Pacific Fair Mall in Broadbeach offers visitors to the Gold Coast the biggest shopping centre of it’s kind in the Southern hemisphere. It’s just been refurbished with plenty of new hospitality operators to help up the ante in the entertainment stakes. Not content as simply a shopping destination you can find the bar, cafe or restaurant to refuel and refresh once you’re done shopping. For bargain hunters, a trip to Harbour Town Outlet Shopping Centre in Biggera Waters is a must. Grab your designer brand fashion and homewares here at low everyday prices. Of course if you haven’t had enough of the big mall experience then you could also stop in at Australia Fair in Southport along the way. Not only is the Gold Coast famous for it’s eighty kilometre coastline, but it is also a shoppers wonderland. The Gold Coast is not however complete without including the Gold Coast theme parks, and getting there is easy. Get on the Pacific Motorway to Oxenford. It takes about twenty minutes to get there. Once you find your way to Movie World everything else falls into place. Don’t forget Main Beach with the world’s largest underwater aquarium, Sea World. Getting this close to live sharks, rays and school fish is likely to be a once-in-a-lifetime experience. So how about it? You’ll want to be in these Surfers Paradise beachside holiday apartments. Baronnet Apartments are so close to the ocean, you’ll get a salty hit when you open the balcony doors. Can you smell the ocean yet? Book now.